​Juliet Jivanti was drawn to the varied beauty and biodiversity of the high desert. Almost four years ago she relocated from the Pacific Northwest to sunny Patagonia. Juliet studied at Adelphi University and the Sorbonne and graduated from the University of Montana. She worked in the international software mapping industry for many years. After managing the business partner channel in Latin America, Western Europe and establishing a satellite office in London, she pursued a different path and went to school for Ayurvedic natural medicine. 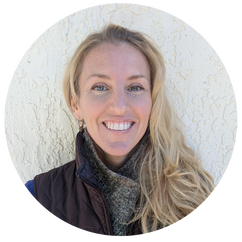 Understanding the connection between individual health and the health of the environment is her passion. As education coordinator for BRN she combines her skills and love of nature to contribute to the team effort of revitalizing the the Sky Islands.